Earn Cash! Join our affiliate program and get paid 50% of every sale whenever someone clicks through your site and purchase any of our software! PC Format Magazine features PAL's Security product line (KeyLog Pro, PC Spy and PC Tracker) as a World Exclusive (Full page!) on their July. August and September 2003 issues. Available at your favorite news stand now! Personal Computer World Magazine features PAL Evidence Eliminator / eShredder on their July 2003 issue. "PAL Evidence Eliminator is a useful program designed to protect user's privacy, it's e-Shredding utility can completely obliterate specified files or whole folders from your hard disk making them unretrievable even using specialist tools!" PAL Solutions is a global information technology company. Our team has a proven reputation for delivering high quality software solutions across a broad spectrum of technologies. 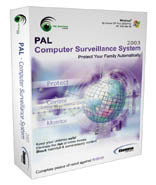 PAL Computer Surveillance System is the latest in cutting-edge spy software technology that allows you to monitor all your PC's activities. It works on ANY PC from ANYWHERE. It allows you to check reports remotely, its activity logs can be secretly emailed to you anywhere. 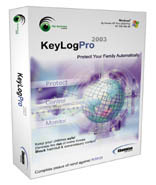 The number one spy software solution for your powerful PC monitoring and surveillance needs. PAL PC Spy Logs all keystrokes, applications, windows, websites, internet connections, passwords, chat conversations, and even screenshots. Perfect for monitoring others who use your PC - children, spouses, employees, or just yourself! PAL PC Tracker is a computer program that will secretly transmit a signal to an email address of your choice and to our own internet servers, allowing you to easily track and locate your computer, anywhere in the world! This is ideal if your PC is ever lost or stolen!